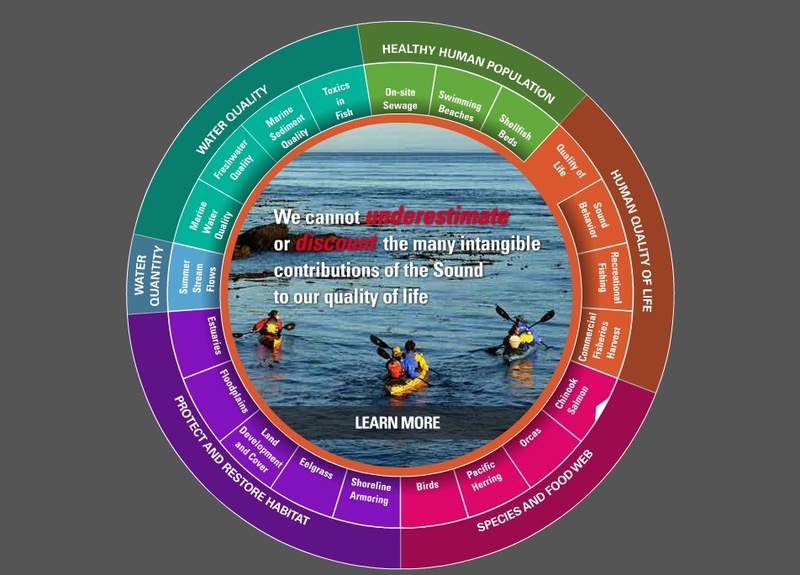 Social scientists will monitor several of the Puget Sound Partership's "Vital Signs" including Healthy Human Population and Human Quality of Life. 1) Compile existing social research and monitoring related to Puget Sound recovery. 2) Identify social research and monitoring gaps in Puget Sound recovery. Puget Sound specific ecosystem service valuation. Economic and cultural research on corporate ownership of natural resources and corporate culture and practices. This includes an exploration of related strategic opportunities. Evaluation of decision-making tools and frameworks that integrate social and ecological science and maximize stakeholder participation with the goal of ecosystem recovery. Analysis of the roles of local elected officials and technical staff in implementing recovery actions. Human behavior research emphasizing landowners, landowner incentives and the political context for behavior change. Natural resource use patterns and connections to human health. Contaminant impacts on human health and ecosystem services that support human wellbeing. The relationship between ecosystem recovery and human wellbeing and how to apply this in indicator and strategy selection. Meta-analysis of existing social science research.